Are developers receiving incentives they don’t need? 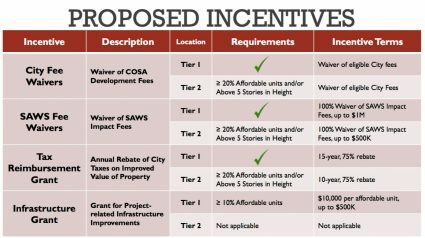 This is the second analysis in an series examining revisions to the Center City Housing Incentives Policy. The City Council was scheduled to vote on the changes Oct. 11, but the item was pulled until a later date. Read the first part here. Since 2012, when the city launched its downtown housing incentives program, city officials and developers have said multifamily developments could not be built without incentives. That’s not entirely true anymore, the city says. Market-rate, low-rise apartments built along the edges of downtown, the very type of ubiquitous project that has reshaped the Pearl/Midtown area and parts of Southtown, no longer require incentives, a city-funded study of the Center City Housing Incentives Policy (CCHIP) finds. Projects of this type, which are limited to five stories because of their wooden frames, now command high enough rents that they’re profitable—or they yield an acceptable return on investment for the people providing the cash to build them—without incentives, the assessment concludes. It’s important to distinguish between these outlying projects and the ones that reside in downtown’s core, which still require incentives because of high land costs, among other factors, city officials say. So, I wondered: When did the Pearl/Midtown and Southtown markets mature to the point that developments there no longer require incentives? (This, of course, assumes the assessment is accurate.) 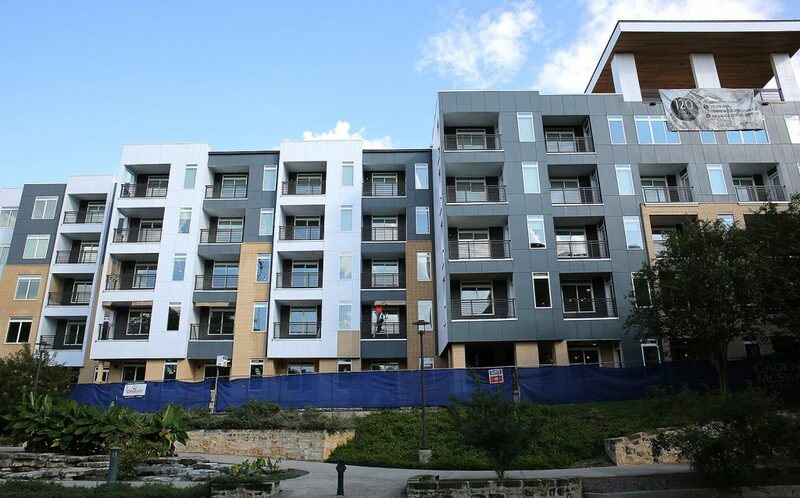 It was less than a year ago, in December, when Mayor Ron Nirenberg placed a moratorium on CCHIP, and ordered city staff to bake affordable housing components into it. At that time, city officials say, these project types still required incentives, which included rebates on city property taxes, and the waiver of city and SAWS fees. The assessment doesn’t give a date or a month when this shift happened. Is it possible these abutting areas matured before Nirenberg’s moratorium? In other words—and for this one, let’s set aside for a moment CCHIP’s worthiness—is it possible some multifamily projects received incentives when they didn’t need them? The $102 million in incentives the city has disbursed to 64 developers will yield an estimated $1.4 billion in private investment, according to the city. That amounts to 6,810 housing units (1,544 of which the city considers affordable) either built or in the works, 230,000 square feet of retail space, and 28,000 square feet of office space. Let’s pretend everyone is on board with those numbers and CCHIP’s critics have been converted. Could it be that some developers have received incentives for projects that would have been profitable—or profitable enough—without them? Look at a project like 120 Ninth Street, which has received $3.9 million in CCHIP incentives, and is nearing completion on the Museum Reach, the very area the assessment says has matured, and you start to wonder. Rents there will start at $1,300. That some housing types now can be built without incentives is not breaking news, although it’s not widely known, either. Since January, when the City Council approved the mayor’s CCHIP moratorium, city officials have been busy hammering out revisions to the program—at Nirenberg’s behest—that aid in the creation of more affordable housing. “We want downtown to be a place for all San Antonians, especially, when its (growth is) coming with public dollars,” Nirenberg told me in December, when I worked for the nonprofit Folo Media. Which brings us to this moment and this story’s premise. This analysis isn’t about CCHIP’s merits—or lack there of, depending on what side you fall on. Did developers receive incentives they didn’t need? When developers apply for CCHIP, they don’t have to show the need for incentives—or, gap in financing—Garcia said. The downtown market at the time of CCHIP’s creation in 2012 really did need incentives—the proof is in the dearth of new downtown housing that was developed prior to CCHIP. But that’s changed now, according to the assessment. In December, when Nirenberg threw down his edict, this particular ilk of housing product needed incentives, the city contends. By early August, when city officials first presented the assessment’s finding to the City Council’s Economic and Workforce Development Committee, they didn’t. When—between December and August—did that change occur? To find out, my guess is that you’d have to survey of all of the management companies, look at how rents fluctuated at each property, and also examine the pro formas of each development. I’m not suggesting there’s an actual date—each project has its own variables and challenges, such as land cost, construction costs, environmental issues, etc. On the other hand, this is math, and one could attempt to answer this question by poring over the documents. Which leads me to my next question, which the assessment doesn’t address: “How?” What is the magic rent number, or range, from which developments can be built without subsidies? Is it $2.13 a square foot? $2.24? $2.51? What research did TXP conduct to conclude some projects no longer need incentives? A few weeks ago, a reader asked me to investigate whether the practice of dynamic pricing (also known as surge pricing) is happening in hot submarkets like Pearl/Midtown and Southtown—a question I intend to tackle soon. While I had the city’s attention, I asked. You really don’t know whether incentives are needed without looking at each project’s pro forma, or financial document. Take the projected net income (based on the rents you can pull) and divide that number by the cost to build the project. The answer is your profit. Currently, Silver Ventures is building Brewery South, a 223-unit apartment structure on Newell Avenue that will effectively extend the Pearl’s footprint south. Shown said the $40 million project absolutely needed its CCHIP package, which totals $3.5 million—an estimated $2.9 million in tax rebates, $564,414 in SAWS fee waivers, $111,588 in city fee waivers. For this type of project, “the kind of threshold below which projects don’t work is 6 percent,” Shown said, in terms of rate of return on investment (ROI). “You’d like to be at 7 or 8 percent,” he said. For Brewery South, Silver Ventures is expecting an ROI of less than 6 percent, and that’s based on rents that are above $2 a square foot, common in the Pearl/Midtown neighborhood. Shown declined to offer more specific figures. If Silver Ventures’ return is so low, why build Brewery South in the first place? “We do it because we are long-term holders, and it’s in the best interest of the Pearl at large to have more residential,” Shown said. Mitch Meyer, who is building the controversial Bridge Apartments next to the Hays Street Bridge on the near East Side, echoed Shown, and said the numbers don’t work for his project without incentives—which is receiving $801,286 in city property tax rebates, $387,477 in SAWS fee waivers, and $42,960 in city fee waivers. “Honestly, you look at our pro forma, and you pull that item (CCHIP) out — it does a nose dive,” said Meyer. Meyer’s project is unique in that some in the Dignowity Hill neighborhood—and from elsewhere in the city—are vigorously fighting the development citing a variety of concerns—including that the five-story building will block views of the bridge and the downtown skyline past it, and that it will exasperate the neighborhood’s ongoing gentrification. CCHIP has an ugly past, which this series’ first part explores some. He said lawsuits by the Hays Street Bridge Restoration Group have caused a 14-month delay, and that construction costs have gone up 6 percent during that time. He said the delay will add “probably another $1 million” to the cost of the project, which is $14.6 million, according to city documents. “There’s only one mechanism to fix that, and that’s to raise rents,” he said. The $39.6 million project received $3.9 million in CCHIP incentives — an estimated $3.1 million in city property tax rebates over 15 years—or, 9.6 percent of the project’s cost. Rents there will range from $1,300 to $5,000. Bodner did not return multiple requests for an interview. » 120 Ninth Street, 120 9th St.
» Jones & Rio by Alamo Manhattan at 111 W. Jones Ave.
» Brewery South, 226 Newell Ave.
» The Bridge Apartments, 803 N. Cherry St.
» Vitre by 210 Development at 700 W. Houston St.
Each pro forma is crafted in its own creative way. It’s like the secret ingredient in a family recipe. I expect my requests to be challenged by each developer to the Texas Attorney General’s office, arguing that their pro formas are proprietary. My rebuttal to the AG’s office is that city incentives are helping these developers make their profit, and therefore should be considered public record. Now, let’s take a quick look at the proposed CCHIP revisions as they pertain to this topic. There are two areas where multifamily developments can receive “as-of-right” incentives: Tiers 1 and 2, which are show on this map. Tier 1 is roughly the central business district (CBD)—and comes up to Brooklyn Avenue, goes past César E. Chávez Boulevard to the south some, and hits the west and east highways. Tier 2 extends beyond Tier 1 with some big chunks taken out. It’s in Tier 2 that market-rate developments up to five stories no longer need incentives, the assessment says. However, under the revisions, projects can still receive incentives, but 20 percent of the units must be affordable—10 percent reserved for households making 80 percent of the area median income, and 10 percent at 60 percent AMI. That qualifies the tenant. CCHIP would take another step and require rents to be limited to 30 percent of the household’s income. Or, the developer could build taller than five stories, which would require more expensive steel and concrete lattices, and thus, city officials say, the need for incentives. 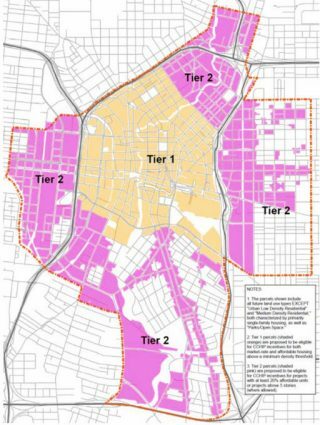 To put it simply, according to the city, land in the northern (Pearl/Midtown) and southern (Southtown) swaths of Tier 2 is expensive, but they’re also hot areas and therefore can commend higher market rents. The eastern and western parts of Tier 2 have lower land values, but rents are also lower. In both cases, the city says, incentives are not needed. In May, fives months into the moratorium, city officials met with Dallas developer Stillwater Capital, who was seeking subsidies for its $28 million, 280-unit apartment project on the northern-most corner of McCullough Avenue and Augusta Street. The developer had applied for CCHIP incentives—tax rebates, SAWS and city fee waivers—with the intent of including some affordable units in the project, but this was during the moratorium. The developer could still receive the lucrative tax breaks, but those would have to be approved by the City Council, rather than by the “as-of-right” CCHIP, which instantly granted incentives based on a loose set of criteria at the time. “They had affordability in their project, and now their new project does not,” Garcia said. After CCDO officials explained this to Stillwater Capital representatives, the developer declined to pursue CCHIP. “We didn’t want to wait, and we had already discussed viable options,” Brandon Easterling, a partner at Stillwater Capital, said two weeks ago in a brief interview after a Historic and Design Review Commission meeting. Under another incentives program called the Inner City Reinvestment and Infill Policy, which is also being revised alongside CCHIP, Stillwater Capital received waivers on city fees worth $64,054, but not SAWS impact fee waivers, because the funds were not available. Stillwater Capital will have to return to the city to get its SAWS fee waivers, and will likely apply through CCHIP to get it. The developer will receive the tax rebates, whether it needs them or not, because CCHIP is an as-of-right policy. The question is whether or not Stillwater Capital will include affordable units. Their incentive to do so is an infrastructure grant they would receive under the new CCHIP up to $500,000 in exchange for 10 percent affordable units (up to 50 units at $10,000 per unit). Multiple requests for a follow-up interview to Easterling were not returned. Are developers receiving incentives they don’t need? It probably depends on your definition of the word “need.” Acceptable returns on investment vary depending on the developer, the lenders, the equity partners, the market, the product, etc. What do you want San Antonio to get out of CCHIP? 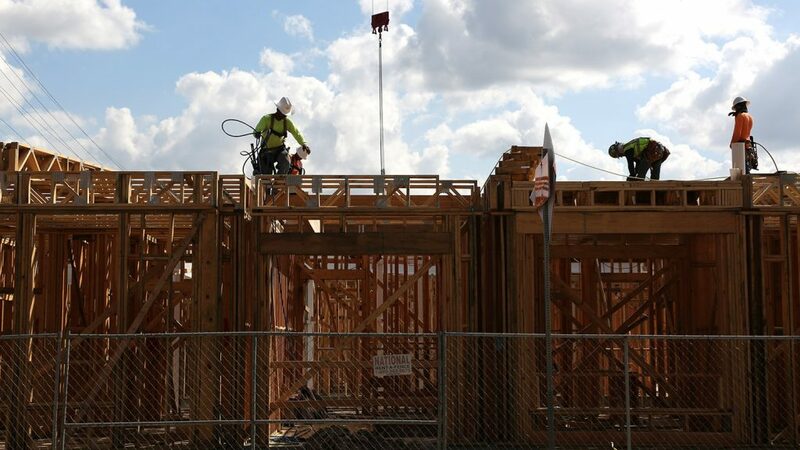 Do you want it to build as much housing as possible, as quickly as possible, bringing up that tax base, getting downtown as vibrant as possible with shops and restaurants, pedestrian-friendly neighborhoods, accomplished mainly with market-rate housing that many San Antonians could not dream of affording? A downtown that’s more attractive to young professionals—all while running the risk of becoming Austin or Seattle? Or, do you want a more equitable downtown, one that is accessible to more than just those who can afford $2 a square foot rents? Do you want more housing for the hospitality workforce that makes downtown’s hospitality engine run? Do you want the downtown to be more reflective of city as a whole? Nirenberg’s directive attempts to strike that balance, that equity, and we’ll see whether it accomplishes that goal. What kind of downtown do you want your city to help build? I’ll explore this question in the third and final installment of this series coming out some time next week. Editor’s Note: I omitted exploring the Broadway Jones development, because it is being aided by the San Antonio Housing Trust Public Facility Corporation, so it’s exempt from pay all taxes—city, county, schools, etc. It’s a different animal, one I’ll write about at a later date. 210 Development could not be reached for comment. It’s very refreshing to see someone doing some actual digging into numbers, asking questions, and presenting information to the public in an unbiased way. (I appreciate that you do not simply regurgitate the words that come from City Hall PR on the necessity and usefulness of such spending but examine it from multiple angles. Thanks for your work! I think city planners seek to encourage apartment-complex living to make citizens more dependent on public transportation, recreation, and other services. Small-house dwellers, with their own vehicles, yards, and neighborhood loyalties, are an annoying impediment to their grand schemes.